Vitamin B7 -- more commonly known as biotin (and occasionally vitamin H) -- is required for healthy skin, hair sweat glands, nerve tissue, bone marrow and nails. Biotin also aids in cell growth; metabolizing fats, carbohydrates and proteins into fuel for your muscles; and it helps your body make use of the other B-complex vitamins. While your body can't manufacture biotin on its own, deficiencies are rare, notes MedScape. So are side effects. There are potential side effects of biotine, either related to intake or deficiency. How Is Biotin Used in the Body? Unsubstantiated reports indicate that excess biotin intake may cause a noticeable increase in the need to urinate, or an unusual amount of sweating. University of Maryland Medical Center reports biotin is recommended for strengthening hair and nails; so it's little surprise that faster growth of your hair and nails may be a consequence of biotin use. The University of Washington Medical Center notes that some biotin users "may have side effects such as mild nausea, stomach cramping, or diarrhea." The Linus Pauling Institute of Oregon State University reports one case of "life-threatening eosinophilic pleuropericardial effusion in an elderly woman who took a combination of 10,000 mcg/day of biotin and 300 mg/day of pantothenic acid for two months." It's unclear whether the condition was caused by the combination of the two vitamins or another factor entirely. The National Institutes of Health lists biotin as "POSSIBLY SAFE when used in recommended amounts during pregnancy and breast-feeding," and lists no known side effects when taken with herbs or supplements. Even though biotin deficiency is rare, biotin levels may be affected by some medications, particularly long-term use of antibiotics and some anticonvulsants according to Oregon State University. Additionally, unlikely as it is, if you were to consume large amounts of raw egg whites, the National Institutes of Health (NIH) warns that you might become biotin deficient. This is because raw egg whites contain a glycoprotein that binds biotin and prevents its absorption. In most cases a balanced diet will provide at least this amount of biotin, as will most daily multivitamins. 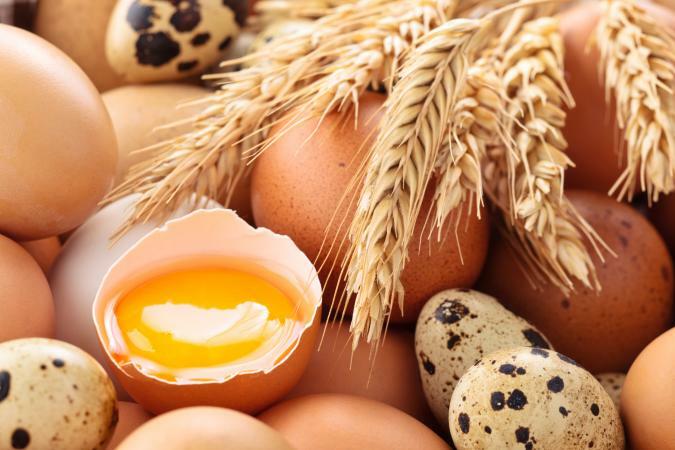 Dietary sources of biotin include whole grains, egg yolks, organ meats, saltwater fish, poultry, legumes, pork, and yeast. With any type of nutritional supplements, or any other medicine for that matter, if you are experiencing any side effects you should let your healthcare provider know immediately. The signs may be easily recognizable and could be a combination of several factors, but if something simply does not feel right don't take a chance. What you are experiencing may not be a side effect of biotin specifically, but your doctor should be able to correctly diagnose the problem and then take the needed steps to correct and treat it.